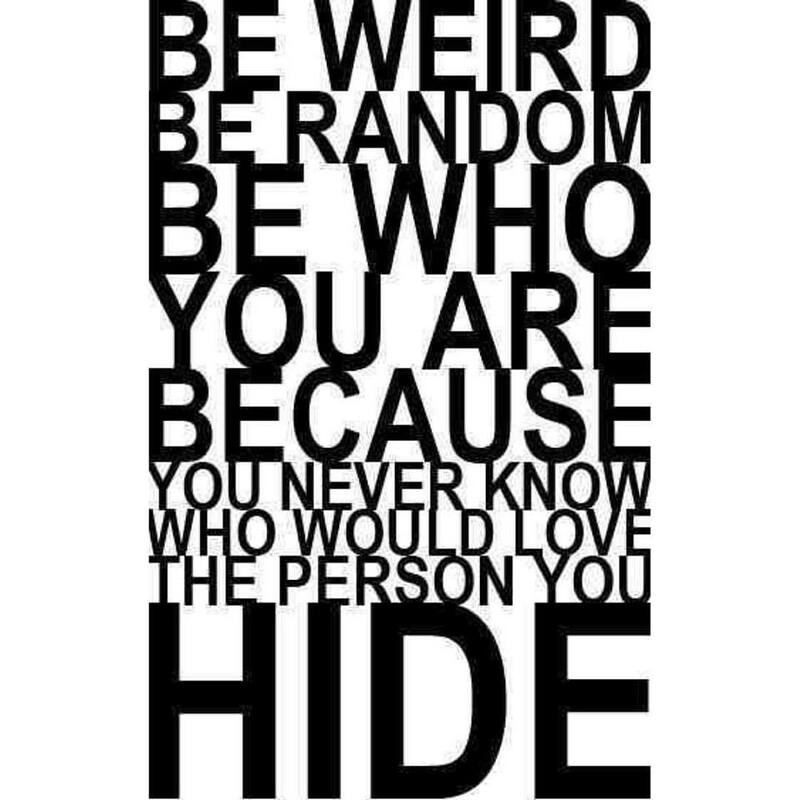 Be who you are because you never know who would love the person you HIDE!. I used to think that if I tried to be what others wanted me to be I would be loved and admired more. I was always told I wasn’t like the rest and I should be more like so and so. I hated being told what to be! I hated the box many tried to place me in as if I myself wasn’t good enough in my own skin. It took me some time to realize that people will love you today and hate you tomorrow so why go the extra mile into molding myself into another person’s image. I love being WEIRD because I stand out and I’m not the typical woman some expect me to be. I love being RANDOM because I get to break societies rules and wear my kinks without apology, celebrate the tone of my skin which many love to hate. When I’m comfortable around you, you get to see inside my quirky little life, silly as I can be with nothing but zeal for life. The goof ball comes out and it’s hard for me to reel her back in once she’s loose LOL. I’m rough around the edges but that’s only for protection and It’s the simple things in life makes me happy.